Many years ago I found myself in a cinema in Manchester during the festive season. As the lights went up at the end of the film, I looked around to see people wiping tears from their eyes, and likewise during the course of the film I had been moved to tears myself on several occasions. I had gone to watch a film that you can guarantee will be showing on TV or at your local cinema as part of the Christmas celebrations. 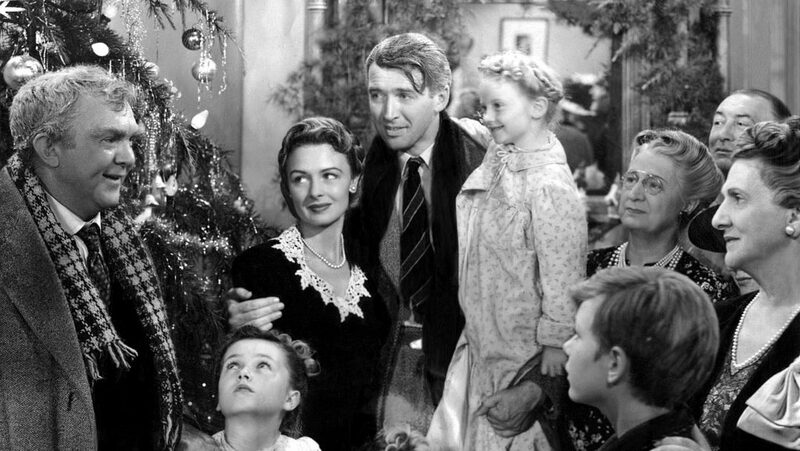 It is Frank Capra’s classic ‘It’s A Wonderful Life’. Made in 1947 and starring a great cast including James Stewart, Donna Reed and Lionel Barrymore, Capra’s film has a Dickensian quality to it. James Stewart plays the role of a selfless man George Bailey who is much loved in the small town of Bedford Falls; it’s a story of redemption that follows his suicidal despair one Christmas night. Clarence the angel appears and shows George how much of a dark and sad place the world would have been without him. I believe that the reason the film is so loved by so many people is (not only due to Capra’s masterful direction and story-telling) because it illustrates a deeper, fundamental truth about the nature of reality. The truth is: that every life is of value and is important. We can often feel powerless in our lives and insignificant, even isolated and alone. But we are all interconnected to each other and to all of life – the threads that connect us to others and the world are not always easy to see. Even after many years of practising Buddhist meditation and yoga I still find myself at times struggling to see and accept that my actions touch other people’s lives. A small act of kindness or a harsh word or action can have a profound effect, beyond what we can imagine. We have a responsibility for the world we live in; we are not separate from it but embedded in a network of complex patterns of connection. It can be helpful to stop and reflect on our lives and all we have done through our actions – great and small. The small acts of kindness shown to others bring us into deeper relationship with the world. Think of all the different people in your life and how their lives would be without you, and then you will begin to see the profound ordinary beauty that is your life. This blog piece first appeared in my December newsletter 2013.